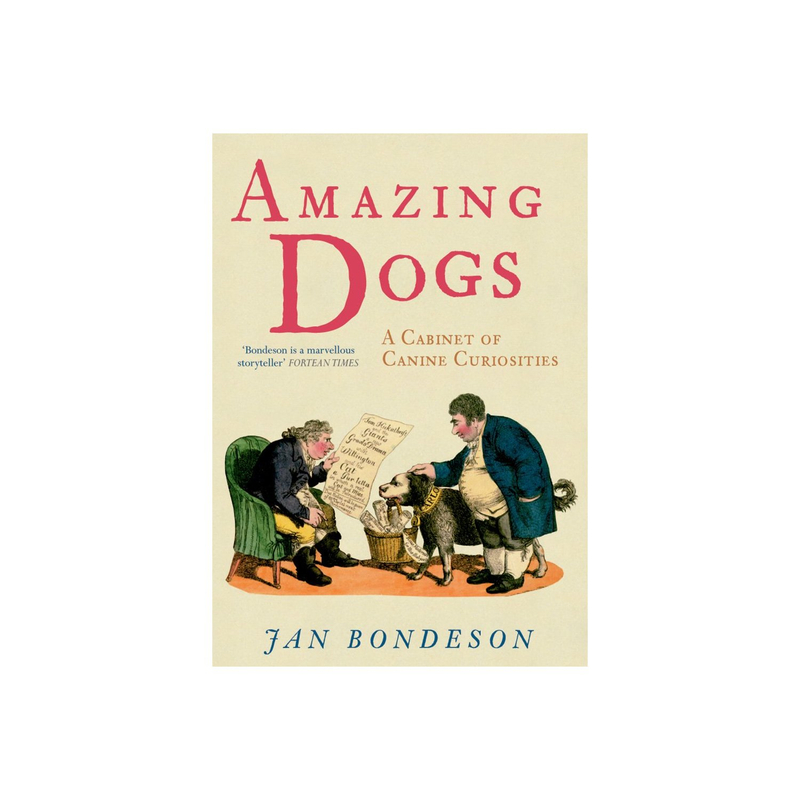 Canine Culture talks with noted author Jan Bondeson of Amazing Dogs: A Cabinet of Canine Curiosities, and shares some very fascinating stories. You have the instincts of a detective. How much time was devoted to researching your book Amazing Dogs? Jan Bondeson: Indeed, I have written books about strange crimes (The London Monster) and unsolved mysteries (Great Pretenders) in the past. Some chapters in ‘Amazing Dogs’ are about unsolved mysteries regarding the canine tribe, for example the ‘cemetery dogs’ supposed to be mourning on their dead masters’ graves, and the remarkably intelligent Newfoundland dogs of Victorian times. The book took five years to research and write. 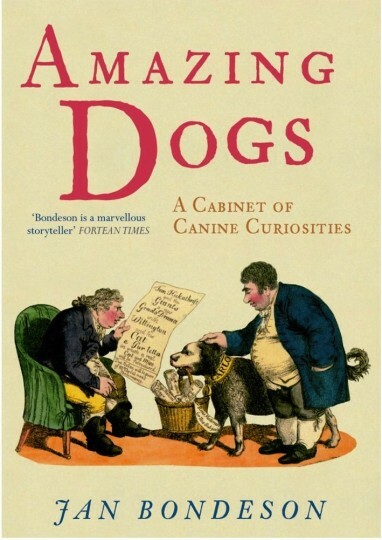 What inspired you to write an account of canine curiosities? Jan Bondeson: When my US book ‘The Feejee Mermaid’ was reissued in the UK in 2005 or so, they needed a new chapter, and I wrote one about Munito the wonderful performing dog. This made me think about writing an entire book about canine curiosities. Much ado has been written in the press about your book – especially on the account on how Hitler planned to deploy telepathic & talking dogs as weapons of terror. Based on your research can you tell us why in wartime Germany, the regime believed it was possible? Jan Bondeson: Yes it is the ‘Woofen-SS’ chapter that has really caught the attention of the press, the New York Times, the International Herald Tribune and a lot of smaller US newspapers. The suggestion that the Nazis were training the dogs to become bilingual spies, or even terrorists, are inventions from ‘funny’ Australian newspapers, however. Did they really believe canines were as smart as human beings? Jan Bondeson:In the 1920s, there was a movement in Germany calling themselves the New Animal Psychologists. 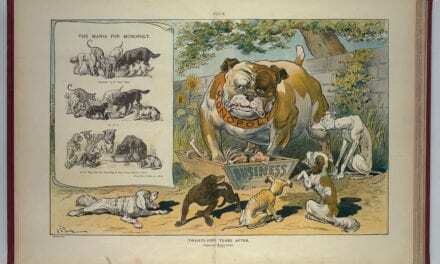 These cranks believed that dogs were nearly as intelligent as human beings, and that they could spell out sentences, solve mathematical problems, write poetry, and speculate about philosophy and religion. When the Nazis came to power, they took over some of these ideas. For a member of the Herrenvolk, it was an appealing thought that the German dogs were also superior to other dogs. The educated dog Kurwenal was more than once featured in Nazi magazines. The Nazis also sponsored research into dog-human communication, but without much success. The gullibility factor: people from earlier centuries, were more apt to believe it was possible for dogs and other animals to be able to do amazing feats; such as read, count cards, speak different languages, be canine thespians … Why so? Jan Bondeson: You would not need to be very gullible to be impressed by the Victorian acting Newfoundland dogs – they were really well trained and could do the most amazing things on stage, like fighting villains, rescuing children, and liberating prisoners. How did you manage to dig up stories contained in each chapter on such wonderful, celebrated canine subjects such as Lola, the performing dog Munito, Don, the talking dog – tell us about them? 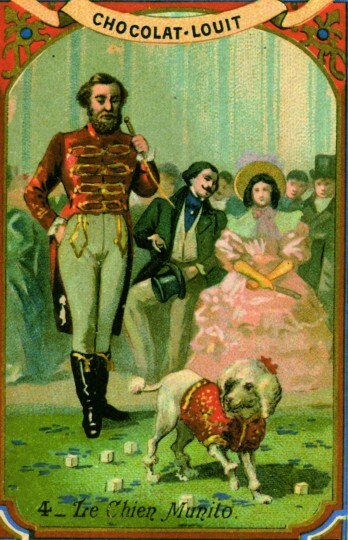 Jan Bondeson: Don the Talking Dog was the favourite of the Berlin music hall in 1910 and 1911. He was very good at imitating the human voice, and could say ‘Don kuchen haben’ – ‘Don wants cakes!’ He had a repertoire of around ten words, which he was alleged to sometimes use intelligently. When he was asked whether he wanted to go out when it was raining, he always answered ‘Nein!’, meaning ‘No!’ When Don was taken to New York, to perform at Hammerstein’s music hall, he was insured for $50 000, making him the most valuable dog in the world. Although he could only speak German, he was again a huge success. 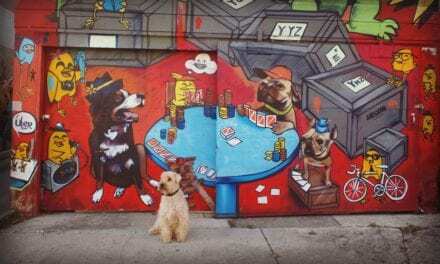 Although there have been other talking dogs since, Don remains the most impressive example that certain dogs can really imitate the human voice quite well. Can you explain the “clever Hans” effect? Jan Bondeson: The ‘Clever Hans effect’ was named after a performing horse, who reacted to hidden cues from its trainer. Dogs are also very good at reacting to such unconscious cues from their owners, who want to believe that their animals have a superior intelligence, like the German ‘New Animal Psychologists’ of the 1920s. Jan Bondeson: My next book is a full-length study of the remarkable dog ‘Greyfriars Bobby’. No visitor to Edinburgh will miss the monument to Scotland’s most famous dog, the little Skye terrier Greyfriars Bobby. This amazing dog, the most faithful in the world, kept vigil at his master’s grave for fourteen long years, before expiring in 1872. Many children’s books, and three successful films, have been inspired by the affecting story of this little dog, said to be the most inspiring tale of love and loyalty ever heard. Every summer, Bobby’s statue is surrounded by tourists from all over the world, some of whom weep profusely when they hear the dog’s pathetic story. Although Greyfriars Bobby has been dead for nearly a century and a half, this extraordinary dog has yet to find his biographer. Much fiction has been based on the myth of the faithful Greyfriars Bobby, but no historian has taken care to investigate the authenticity of his story, and sift the facts from a century of exaggeration and legend. In this book, the true story of Greyfriars Bobby will finally be told for the first time, using original sources. Was Bobby really the canine paragon of virtue he has been presumed to be, or was he an unconscious impostor, taking advantage of the notions about extreme canine fidelity that were current at the time? 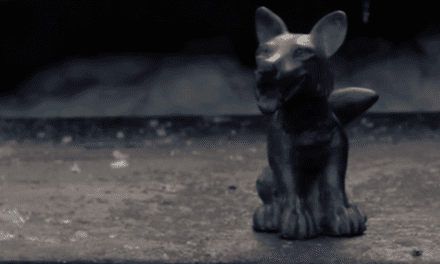 How a plastic dog became a symbol for achievement.